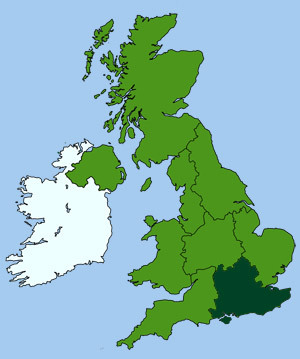 The Chilterns stretch from Oxfordshire in the west through to Buckinghamshire, Bedfordshire and on into Hertfordshire in the east. This 75 mile long strip is a designated an Area of Outstanding Natural Beauty, with gentle rolling hills and small woodlands. Red-tile roofed houses and thatched cottages, within quaint brick and flint villages, provide this area with its unique charm. Walkers can enjoy its many rambling tracks through colourful pastures, rich farmland and along peaceful canals. 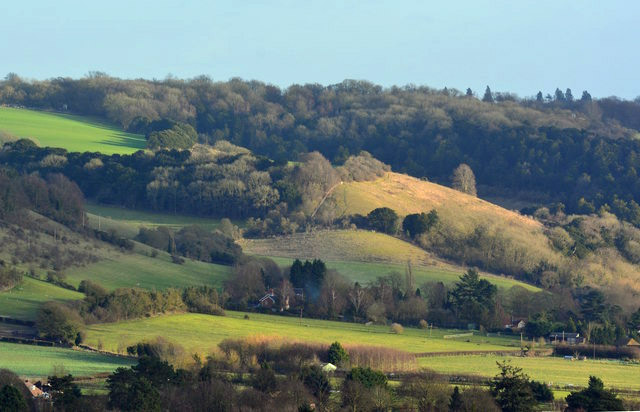 The Chilterns around south Buckinghamshire was once termed Britain's Cherry Orchard, when over 200 years ago the whole area was covered with orchards. Places like Flackwell Heath, Holmer Green, Prestwood and Tring were once called cherry villages and the first Sunday in August was once celebrated as Cherry Pie Sunday. Today there are sadly only about 400 acres of orchards left in the Chilterns. For further information visit the Cherry Orchard at Chiltern Open Air Museum website.